An unlikely attacker broke into the home of a woman in North Sydney and brutally attempted to stab her to death. The assault spanned six horrifying minutes as 7-month-pregnant Pei-Jiun Cheah fought for her life. A 14-year-old boy has been arrested and charged with the attempted murder of Cheah. The pregnant mother is in stable condition and miraculously her 7-month-old child is also believed to have survived the ordeal, according to the family of 33-year-old Cheah. Cheah's neighbors reported hearing screams for help ringing in the cul-de-sac where her apartment is located. Cheah is a physiotherapist and left behind a trail of blood that night on her quest for help. A neighbor named Mark Bolger said they had tried to help Cheah back to her home but she could not get up from his doorway. Bolger wrapped the traumatized mother in blankets until police reached the scene. The teenager who is believed to be responsible for the attack is a local and was found in a nearby home an hour after the attack. 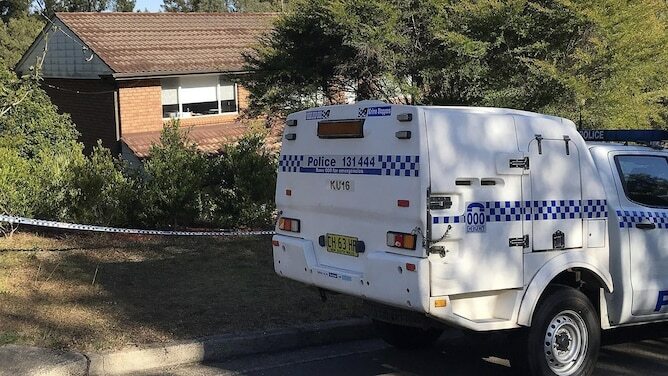 Although the teen has not been identified, he has been charged with attempted murder, special aggravated break-and-enter, committing a serious indictable offense and wounding a person with intent to cause grievous bodily harm. The teen also underwent surgery on his hands, presumably from his own knife. It is common for people to cut themselves with their own knife during an attack. The attack took place between 8:45 p.m. and 8:51 p.m. Friday and thanks to the quick help of emergency responders and police the suspect was caught almost instantly and the victim and her unborn child are going to survive. Cheah's family called the incident a "senseless, terrible, and random act of violence." The family also said, "We would like to acknowledge the brave acts of kindness and care that the neighborhood of Mt Colah extended to Pei-Jiun, in the short moments after the assault. We likewise thank the emergency services and medical staff who promptly responded in getting Pei-Jiun to safety, and the police personnel for their immediate investigation into the matter." and the 14 y/o thug an accident while in jail.